CBS is stacking the deck for it’s ‘Supergirl‘ pilot with some familiar names from the Super-Family. The series is based on Kara Zor-El (Melissa Benoist), Superman’s cousin’ who has been hiding her abilities but after watching Clark’s example, she decides to become the hero she was meant to be. 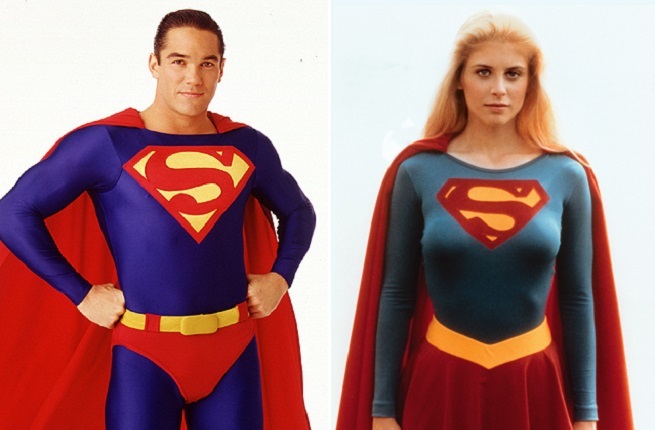 Joining the acting ranks for ‘Supergirl‘ are Dean Cain who played Clark Kent/Superman in the 1990s TV series ‘Lois & Clark: The New Adventures Of Superman‘ and Helen Slater, the original Kara Zor-El/Supergirl in the 1984 film, ‘Supergirl‘. While the pair may be steeped in Super-lore, we have no idea what their purpose in this series will be, but I’m SO excited they’re here! This entry was posted on Friday, February 27th, 2015 at 3:34 pm	and is filed under Comics, News, Television. You can follow any responses to this entry through the RSS 2.0 feed. You can skip to the end and leave a response. Pinging is currently not allowed. « Harrison Ford Returning For ‘Blade Runner’ Sequel!! !